Spicy Shankarpali recipe – a savory which can be a great savior for people who are not fond of sweets! 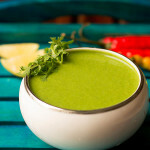 Spicy Shankarpali recipe is a traditional savory made during Diwali and Christmas both in India. Again this recipe comes from my mother’s treasure bank. 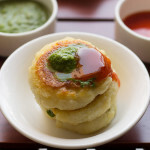 I tried Spicy Shankarpali for a change and its awesome you should also try them. We all get bored eating sweets during festive season. Even I get bored and I always look for spicy food on the platter. I eat Spicy Shankarpali or namkeen like chiwda, besan sev or chaklis. This is my old post which I have slightly modified and changed the pics. Spicy Shankarpali tastes amazing and has a unique flavor. 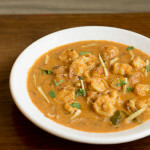 You wanna taste spicy shankarpali than you gotto make them right???? 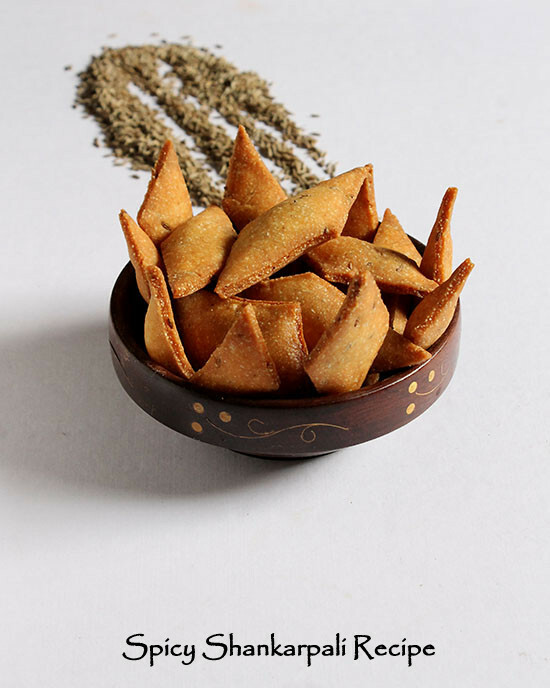 If you are looking for more Diwali recipes like instant chakli, sweet shankarpali, besan sev, mohanthal, nankhatai, paneer gulab jamun, phirni, motichoor ladoo and basundi. Click on the link for the recipes. 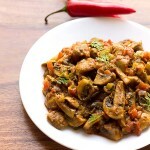 Spicy Shankarpali recipe is a ancient savory made during Diwali and Christmas both in India. Spicy Shankarpali tastes amazing and has a unique flavor. Sift flour and salt. Add cumin seed, carom seed, pepper powder and salt. Mix all nicely. Take a small Pan heat the Dalda and keep aside. Alternatively you could microwave the dalda. Now make small well in the flour add warm dalda. Rub the flour with your finger and palm. It will appear like bread crumbs. Start kneading to form a soft and smooth dough. Keep kneading the dough for about 15 to 20 mins with lot of energy and apply pressure to it. Keep the dough aside covered with a malmal(linen) cloth for about 10 to 15 mins. Its time now to make big balls out of the dough and roll them with the chapati roller. 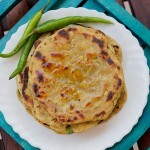 Roll them into round shape similar to a roti but keep the width little thick than chapatis . Take a knife and cut them into Square or Diamond Shapes. Heat oil in a deep vessel once the oil is hot add the shankarpali also ensuring the flame. Once the shankarpalis are nice golden brown remove them. Repeat the same procedure with the remaining balls. Allow them to cool and store them into an airtight box or container. 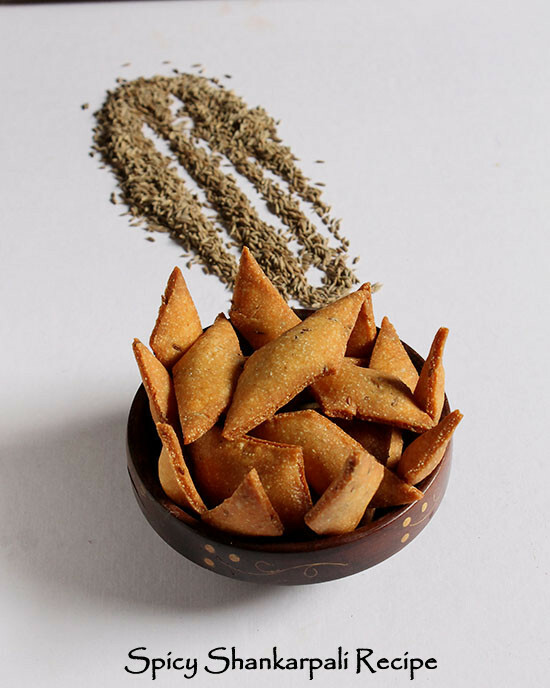 Serve Spicy Shankarpali on a platter with with diyas and diwali sweets. Just one question! At what stage do you add the milk. I don’t think it’s mentioned above. Had made these and my family loved them thankyou for sharing this recipe. just arequest culd u pls post step by step for shankarpali thanks again and god bless. Hey Rose Thanks a ton 🙂 surely would post step by step process but give me some time for the same. 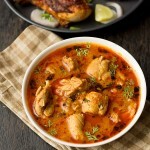 Aarti you have given a great twist to the shankarpali recipe. You are welcome and thankyou for your positive words. seasons greetings to u maria & ur family. i was looking out for spicy shankarpali & i got it . thanks i am about to prepare. God bless you. keep posting for people like me looking out for dufferent dishes. which is ready & handy. easy to make without wasteing time. Thankyou Mrs Stella and you are always welcome. I wish you season greetings to you and your family surely try the shankarpali and lemme know how was it??? ?